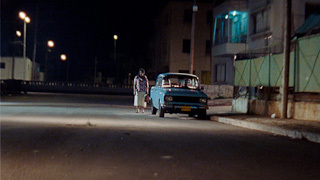 It is evening in a Havana neighborhood, and a group of men are playing a game of dominoes while their wives are chatting. Suddenly a young man stumbles across a young girl injured in the park nearby. It appears as if the girl has been raped. The girl is the granddaughter of Mercedes and Ramón, and soon the chauvinist tendencies of Ramón and the other neighborhood men escalate to shocking levels as they hunt unceasingly for a culprit.